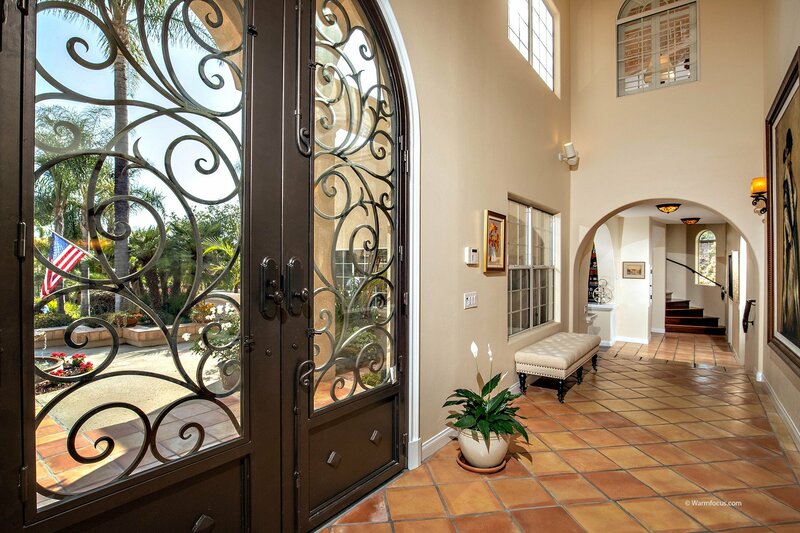 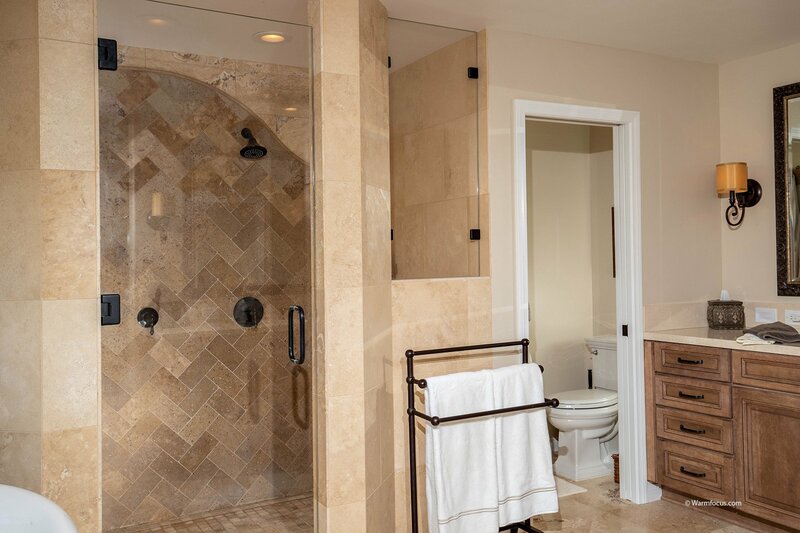 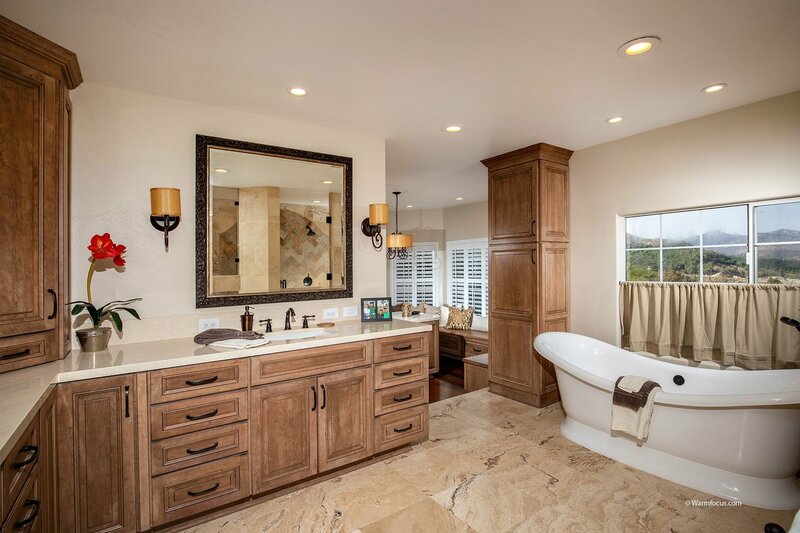 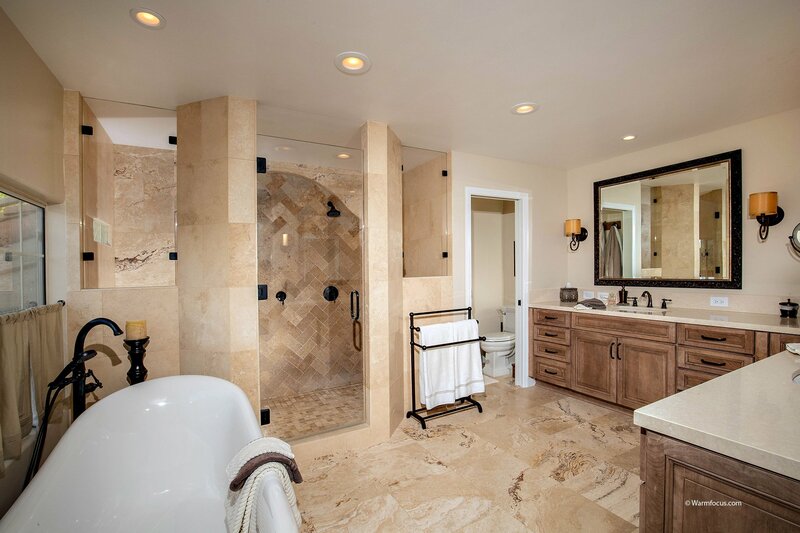 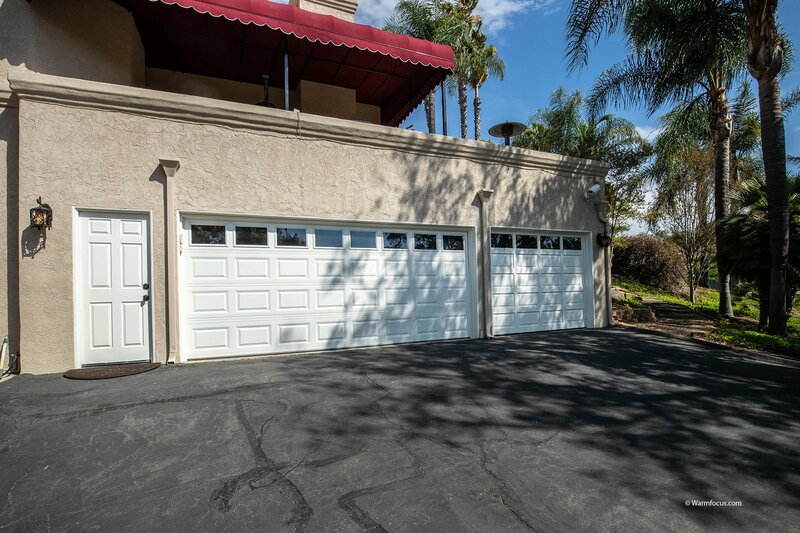 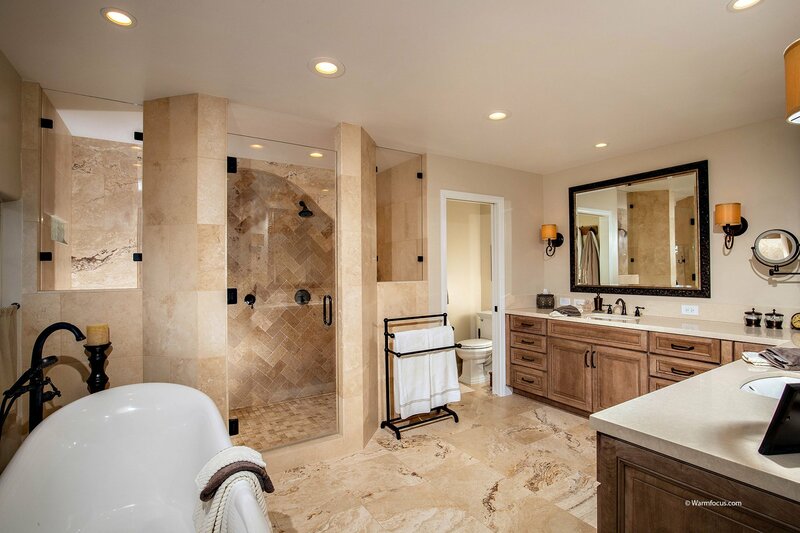 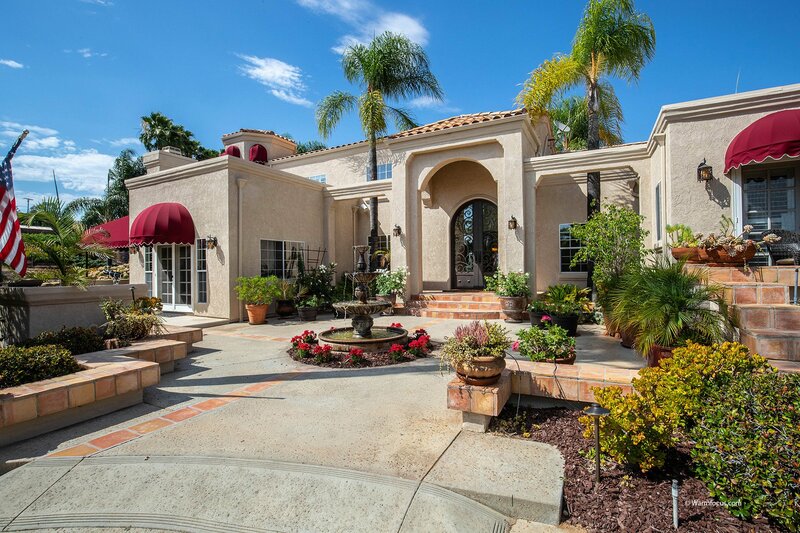 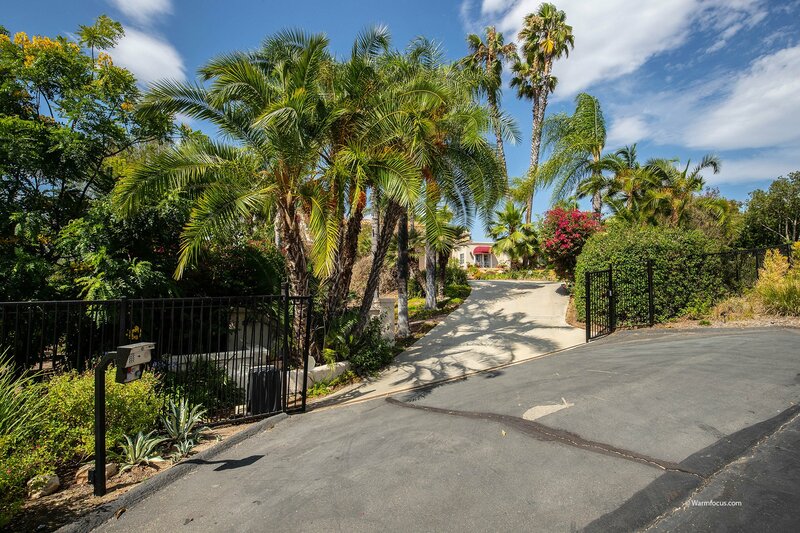 Nestled within the private gates of Summit Crest Estates this residence offers the ultimate in privacy and tranquility. 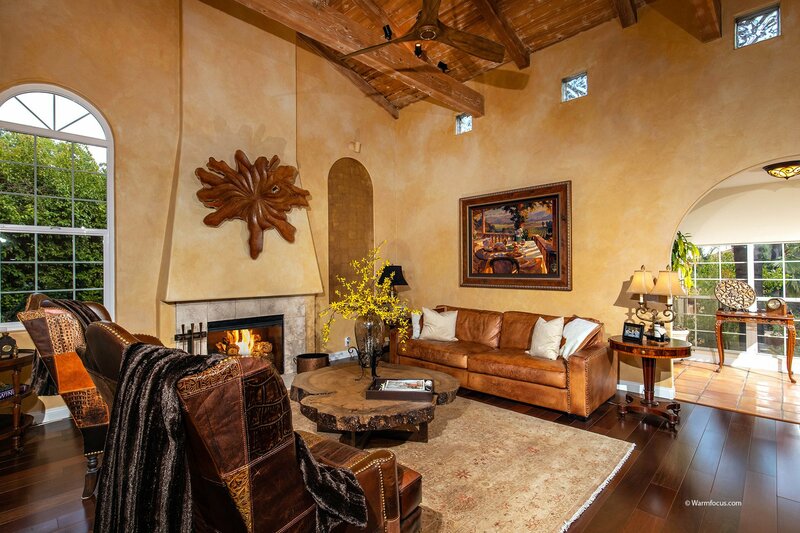 This hilltop estate home welcomes you with a blend of rich, rustic materials and warm, light finishes to create a truly unique living experience. 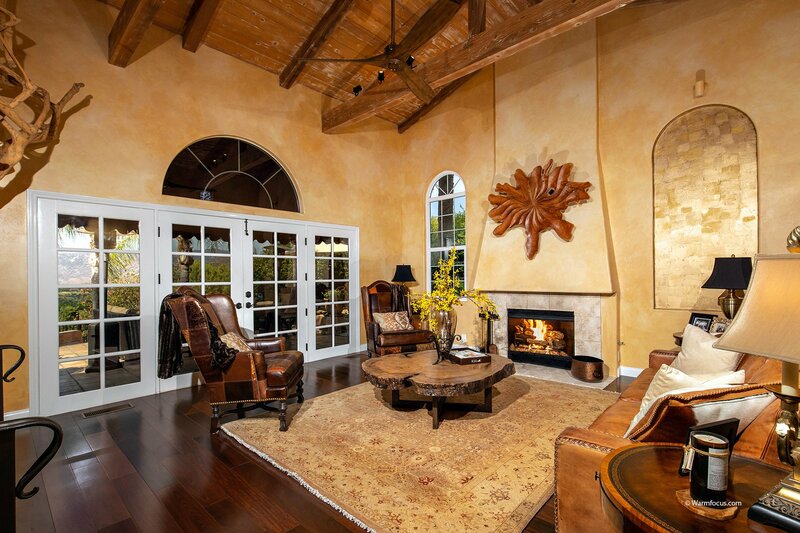 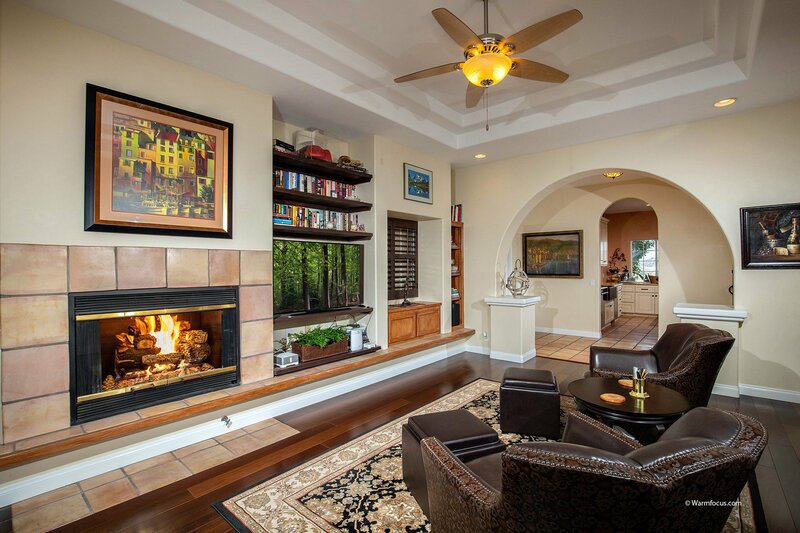 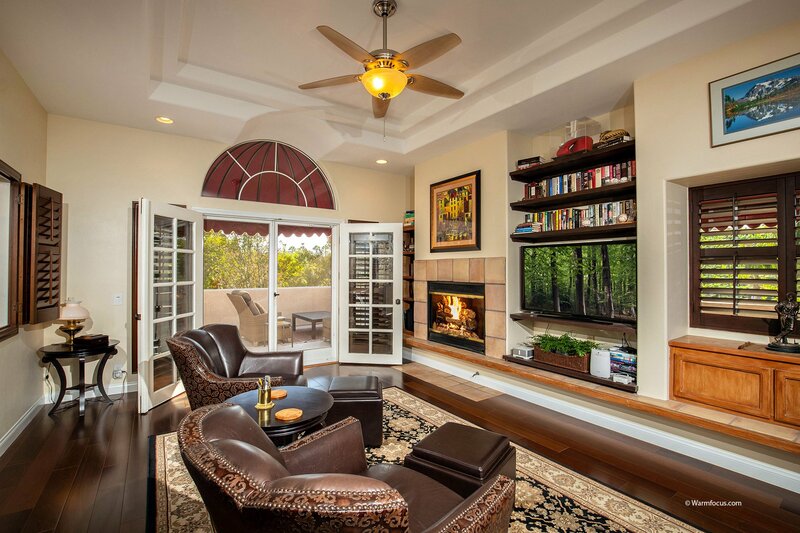 Integrated living spaces comprised of sun filled family room with fireplace, expansive great room with wood beamed ceilings and views into pastoral San Pasqual Valley. 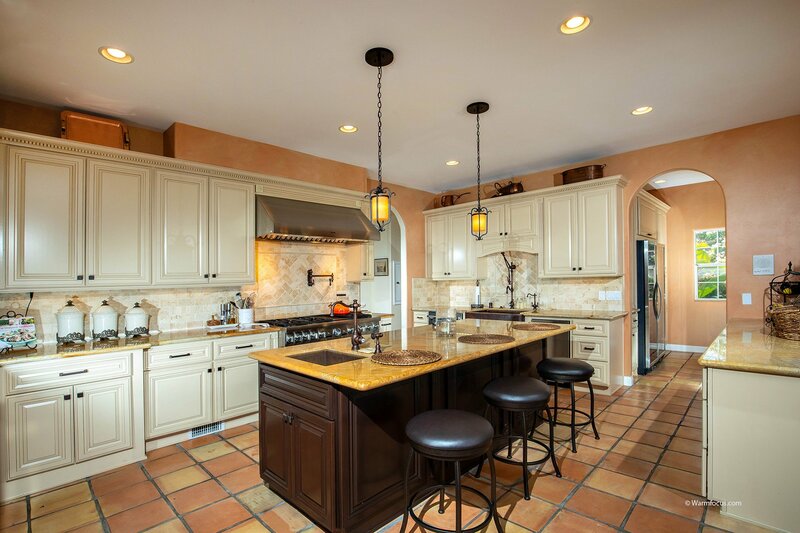 The beautifully remodeled gourmet kitchen includes spacious center island, Thermador stainless steel appliances, dining nook, and an abundance of natural light and coveted storage space. 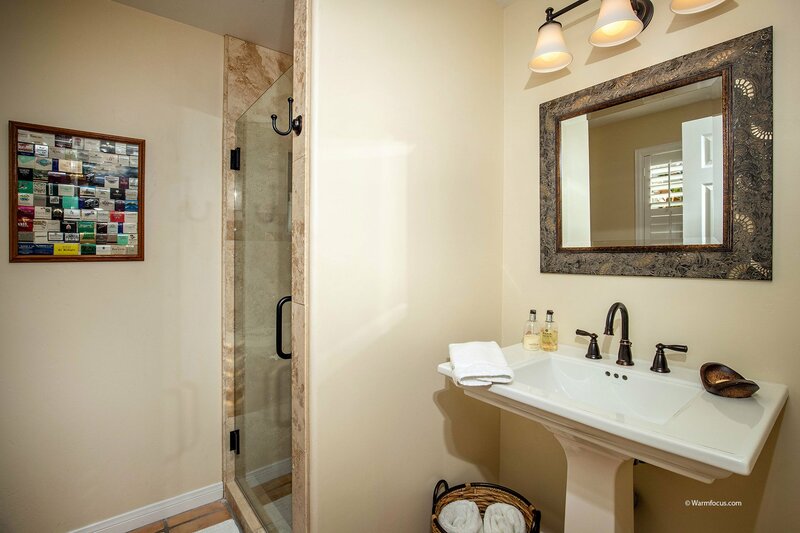 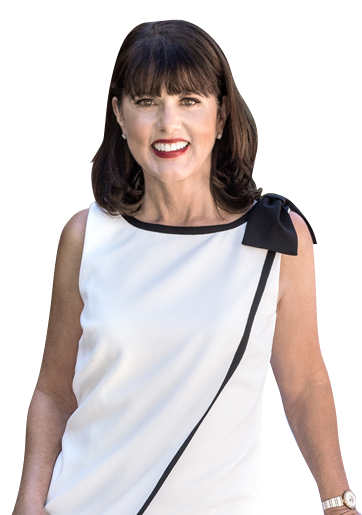 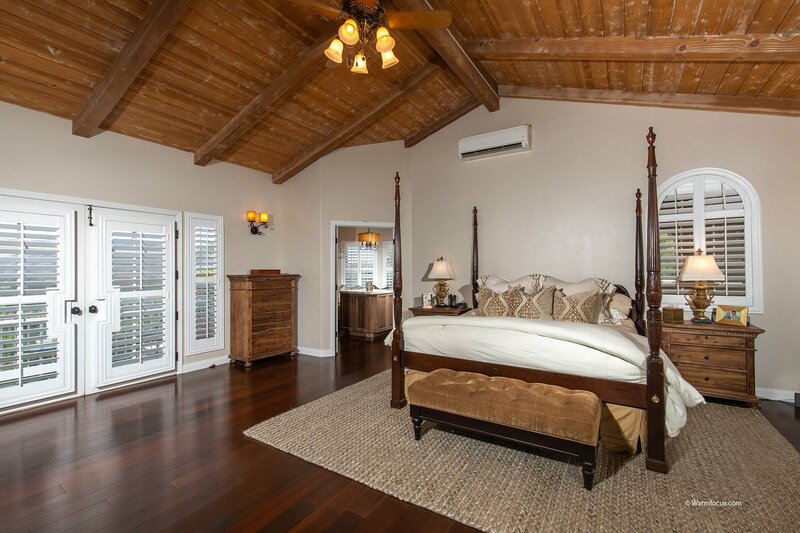 Four bedrooms include two versatile main level bedrooms and sumptuous and exquisite master retreat features Brazilian walnut floors, fireplace, skylights, walk-in closet, en suite bathroom with steam shower, heated floors, separate soaking tub, and private view balcony. 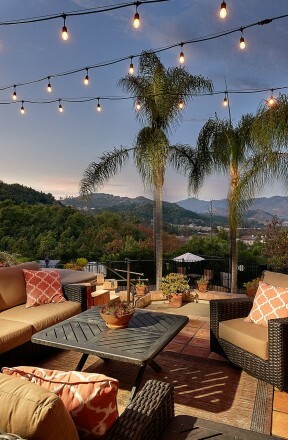 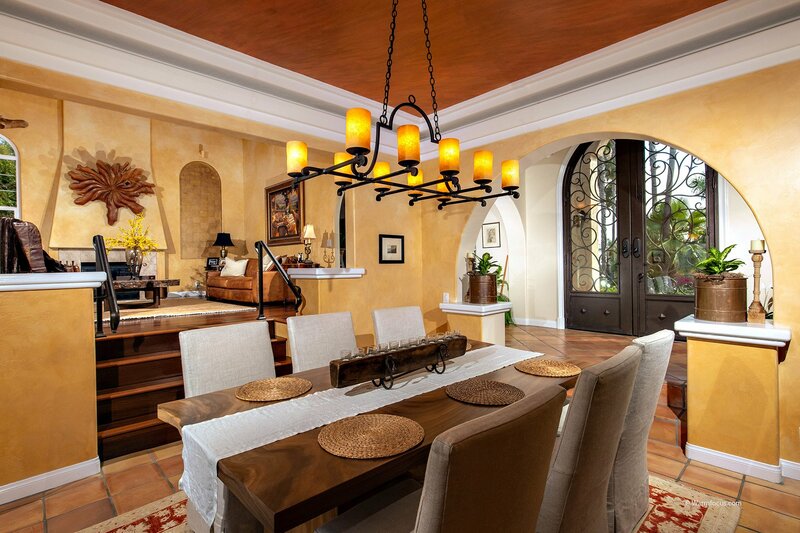 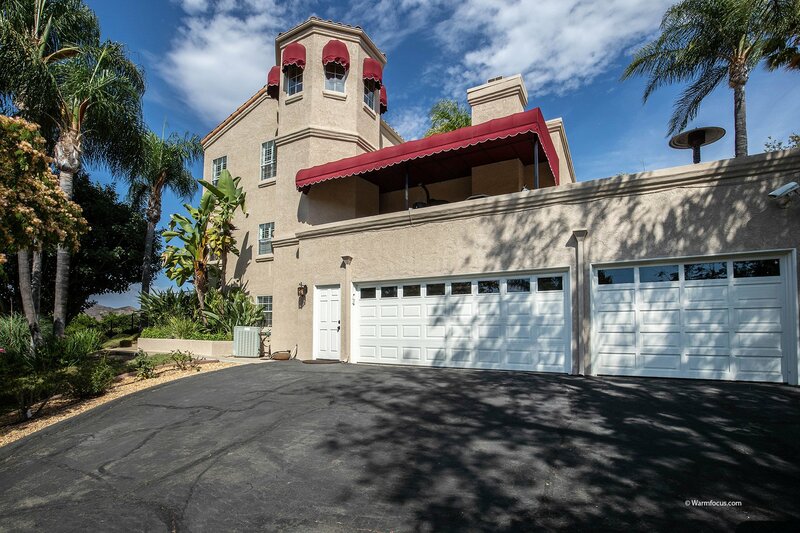 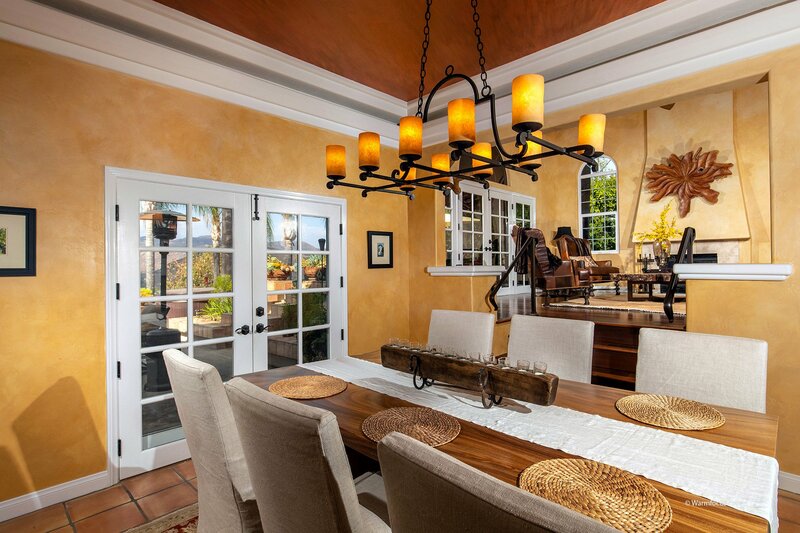 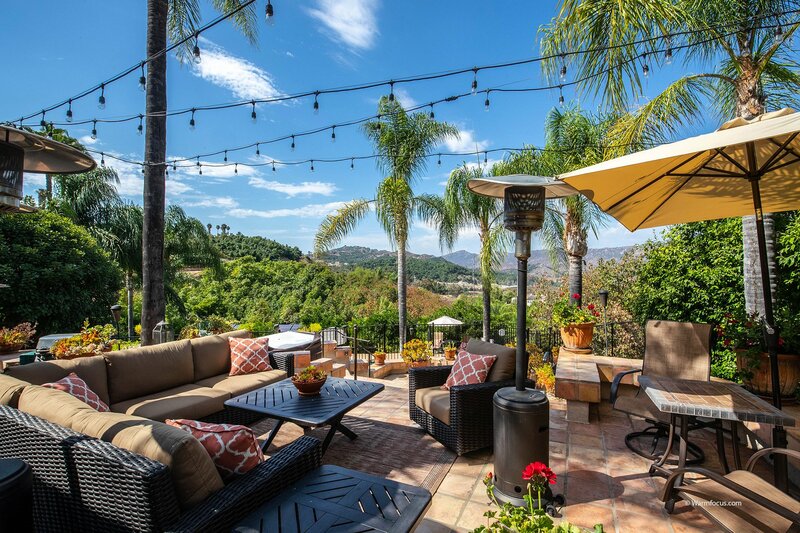 Exposed wood beam ceilings, terracotta tile, archways, and wrought-iron highlights adorn the interiors, while breathtaking views of evening lights, hillsides, and the distant mountains surround the home. 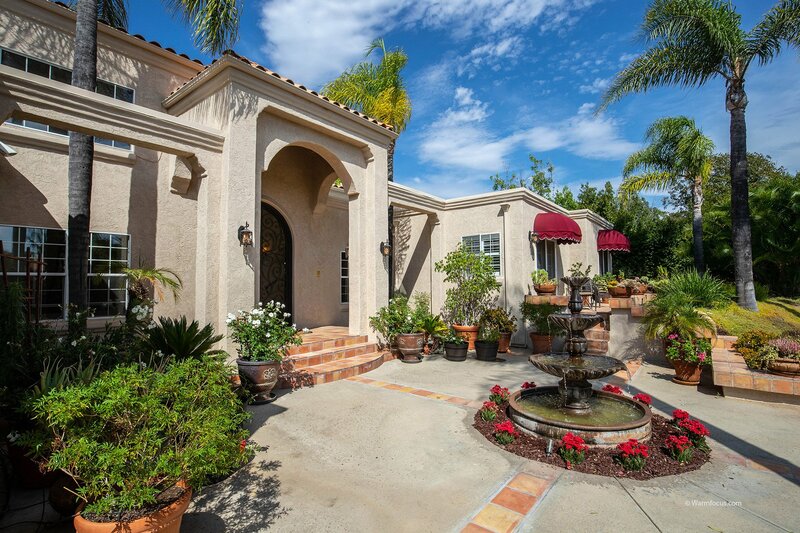 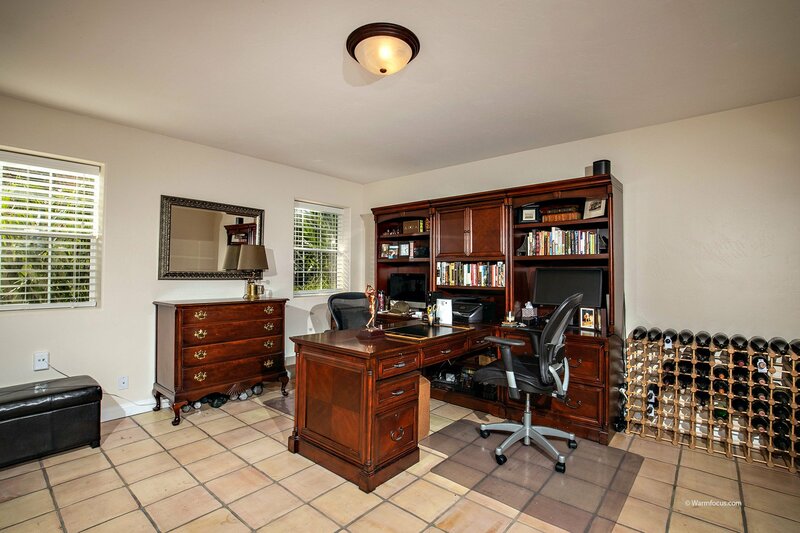 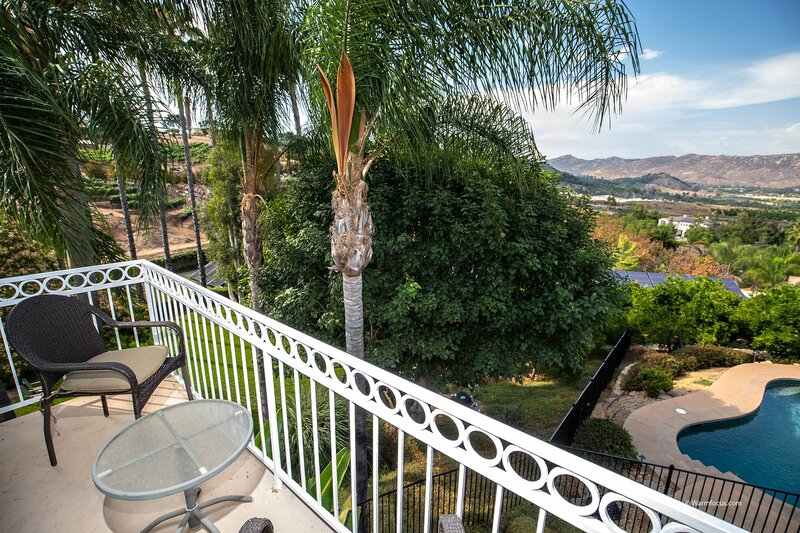 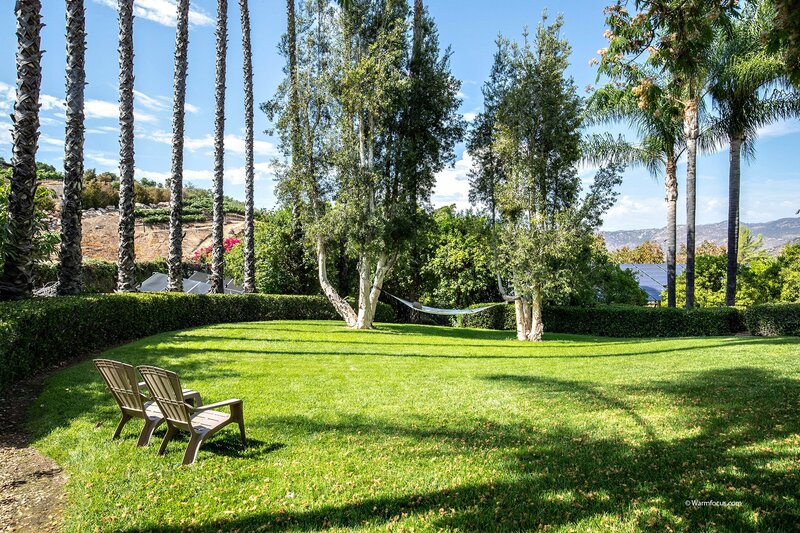 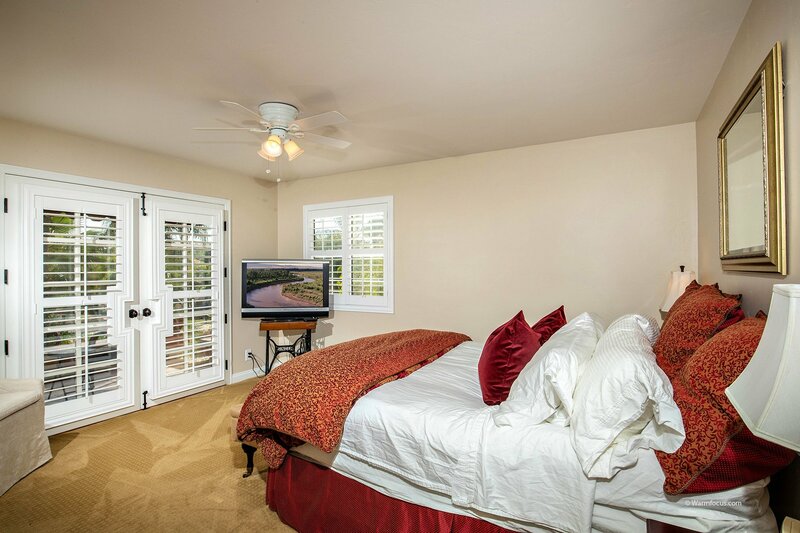 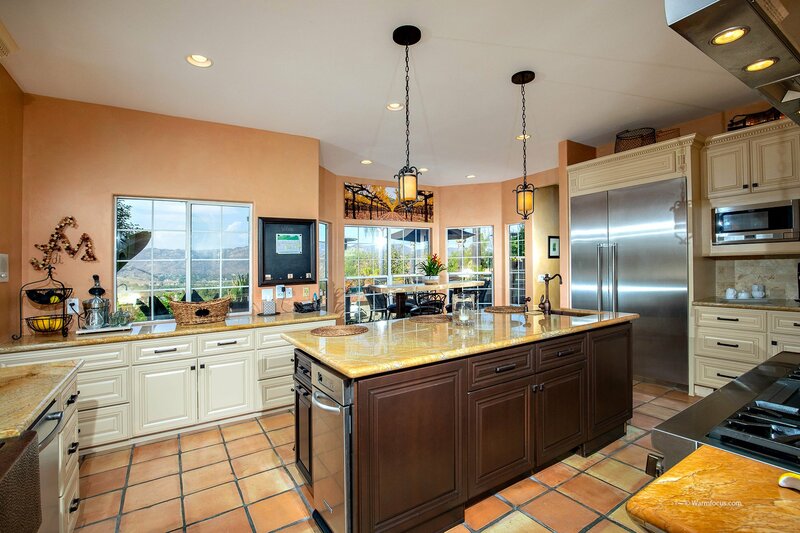 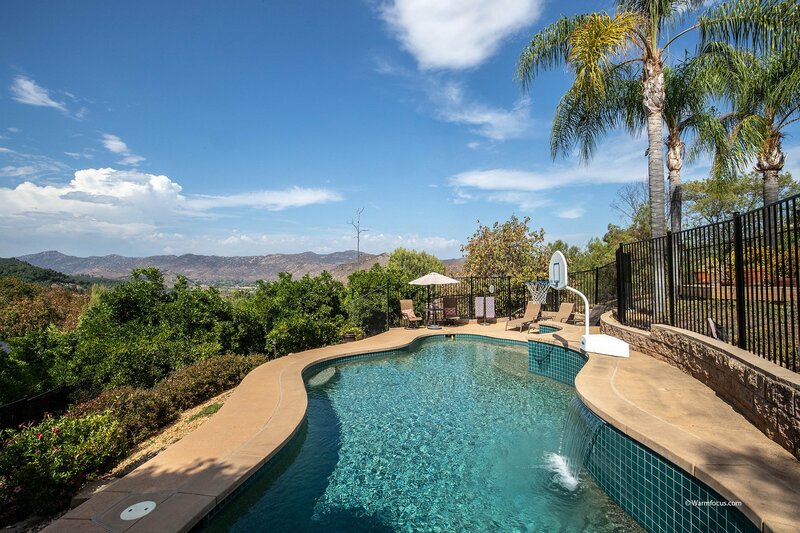 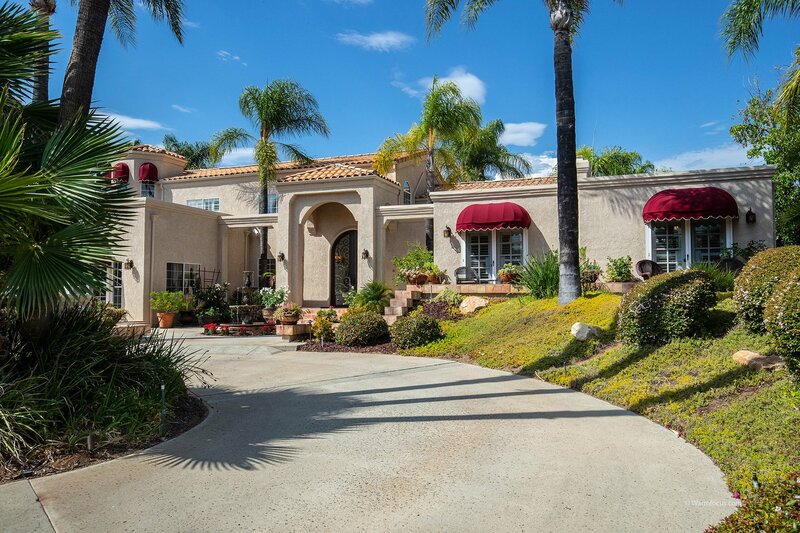 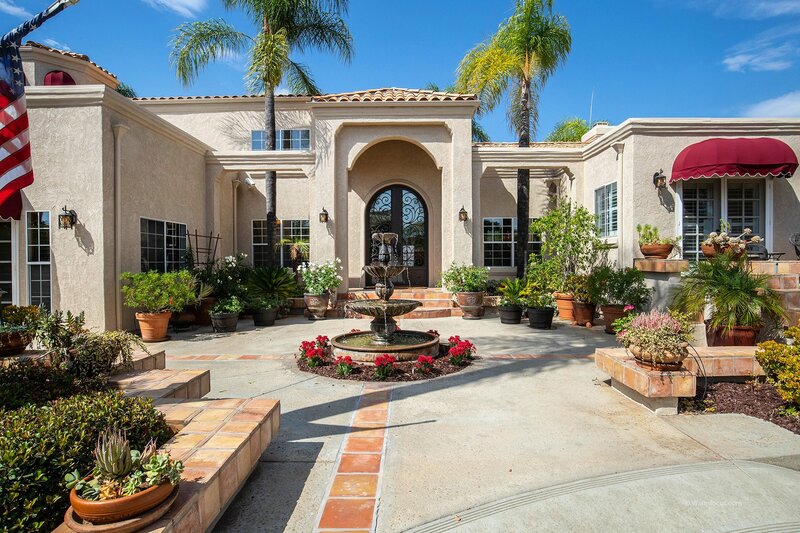 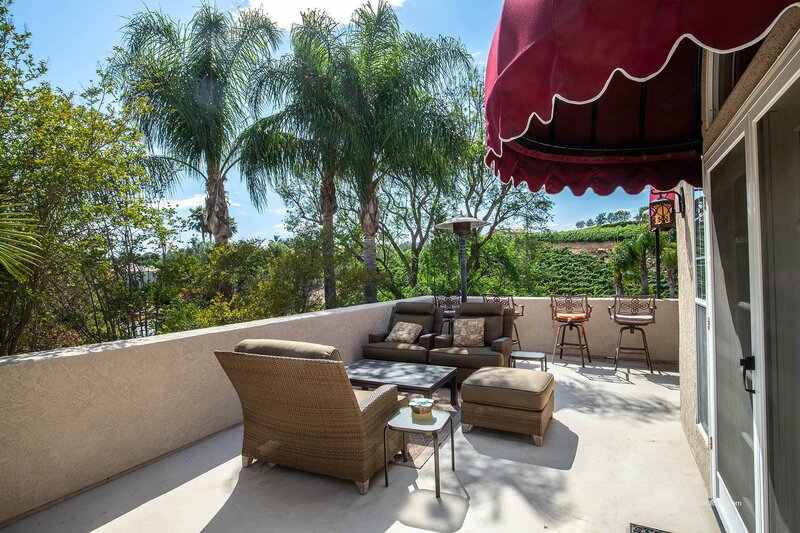 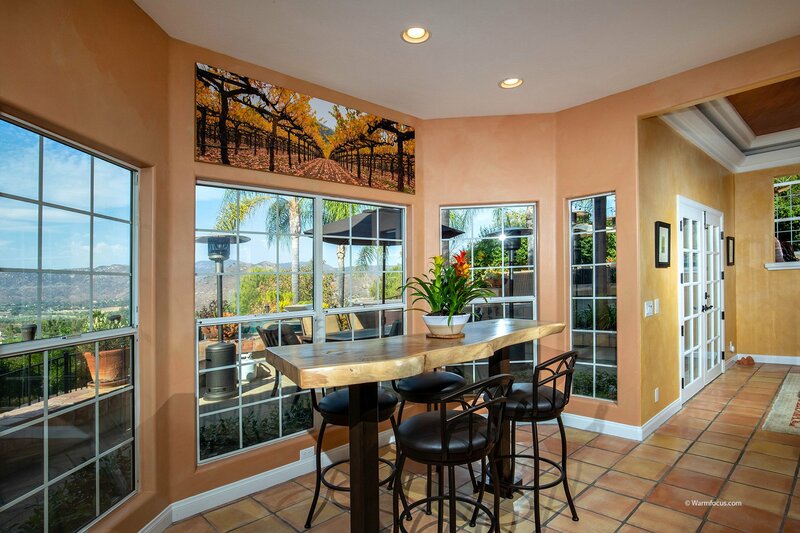 Sited on 2+ acres, the property boasts income producing avocado and citrus orchards. 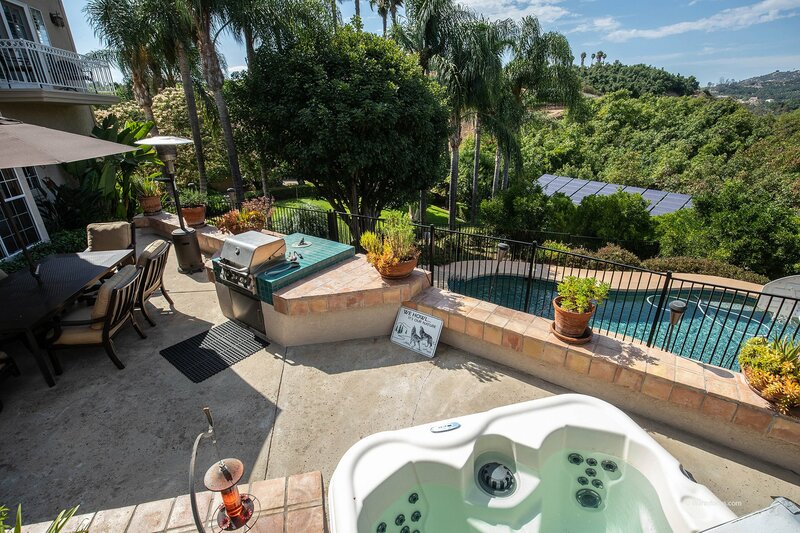 Both the home and pebble -tech pool are solar powered offering environmental appeal. 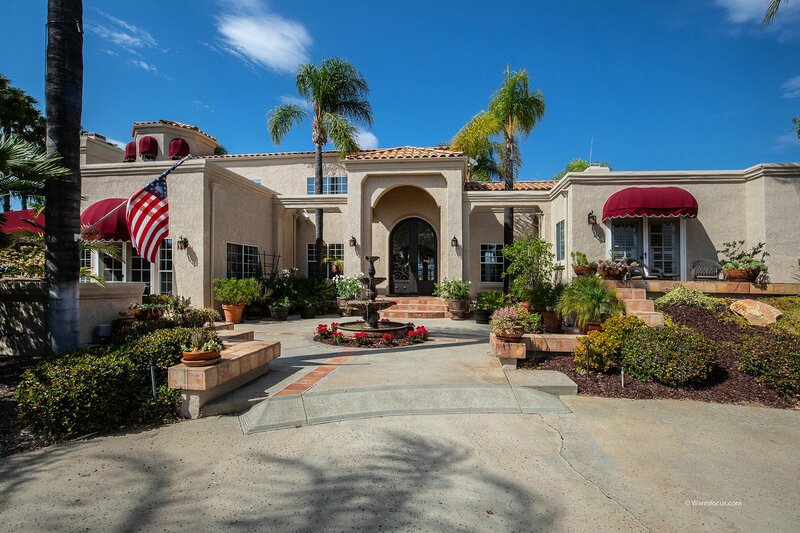 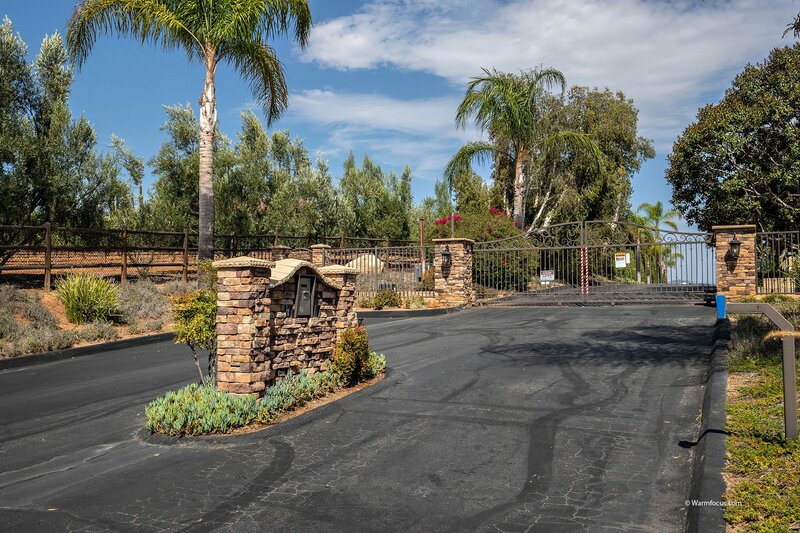 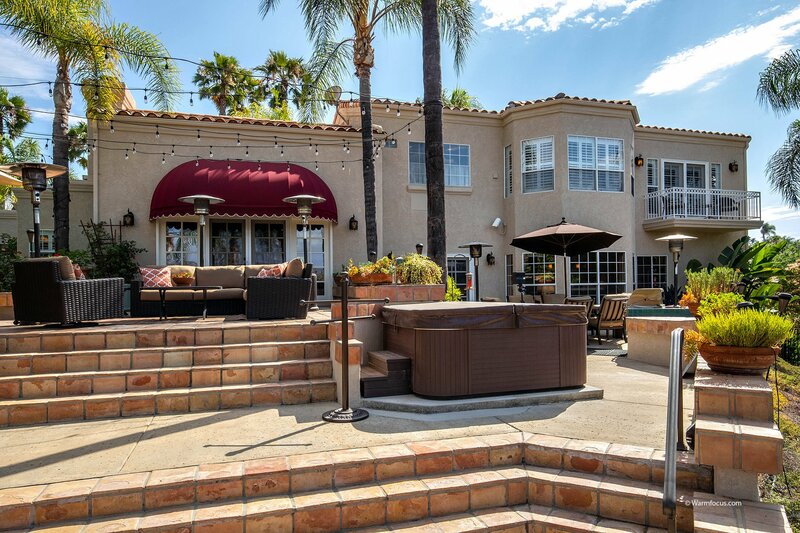 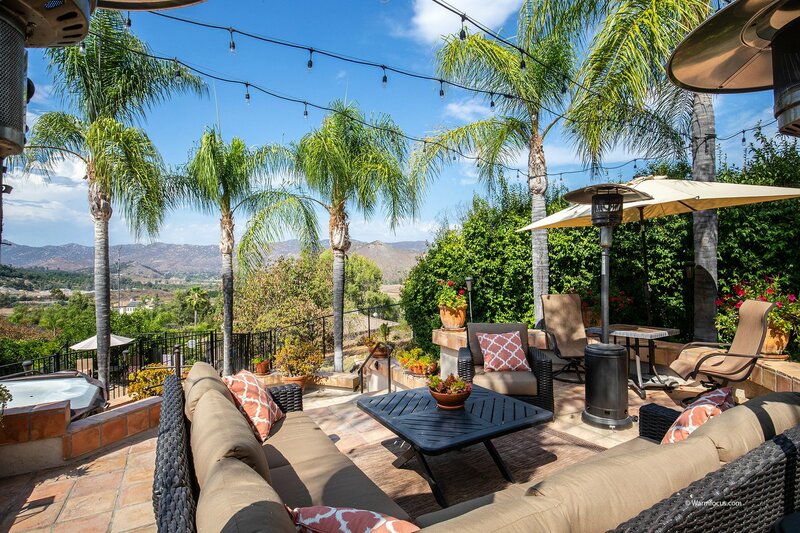 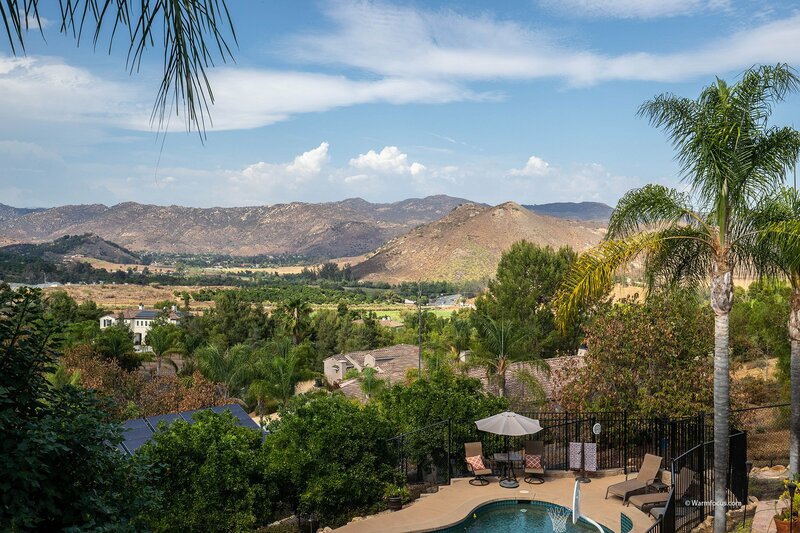 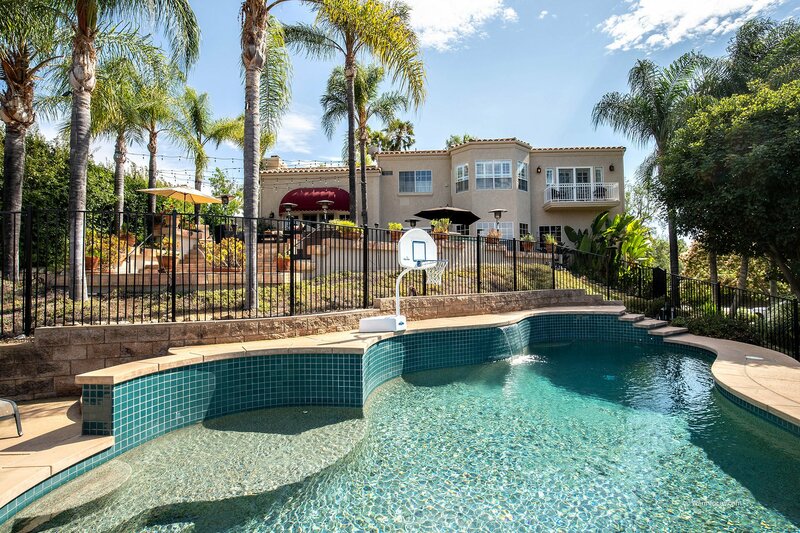 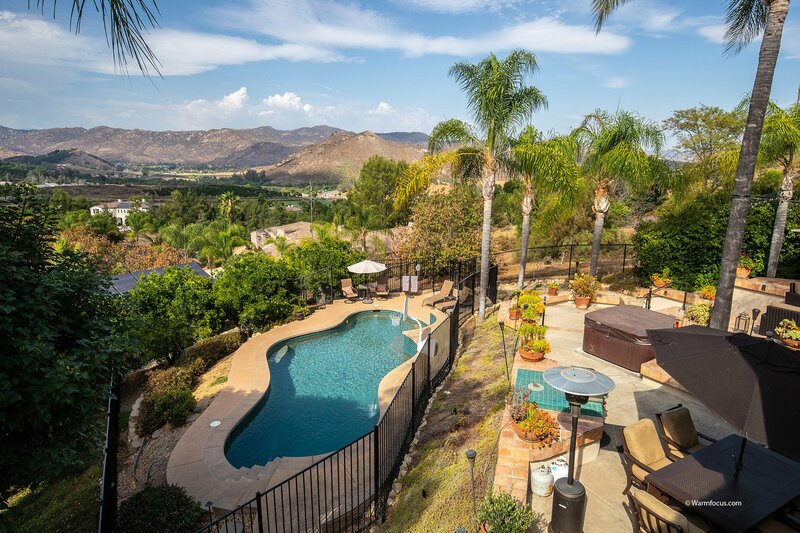 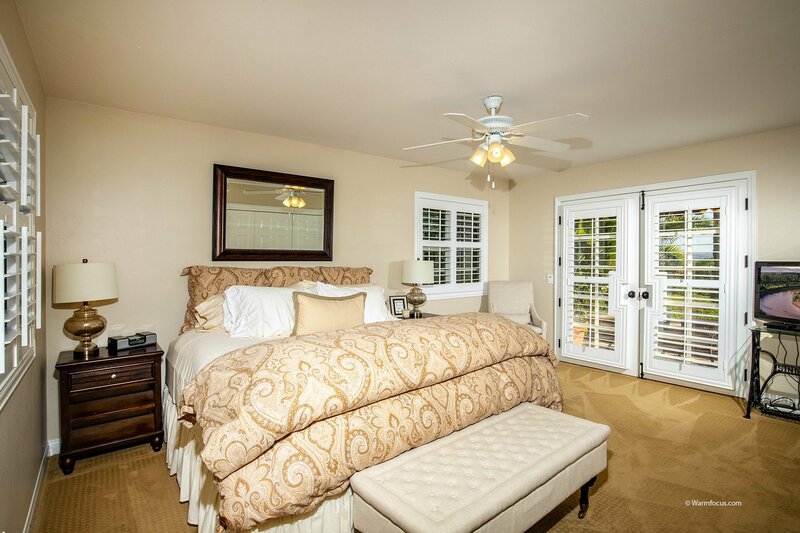 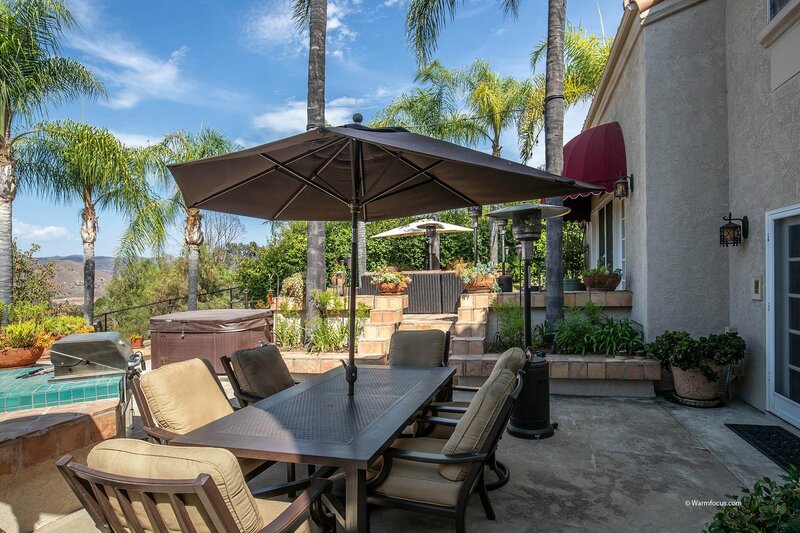 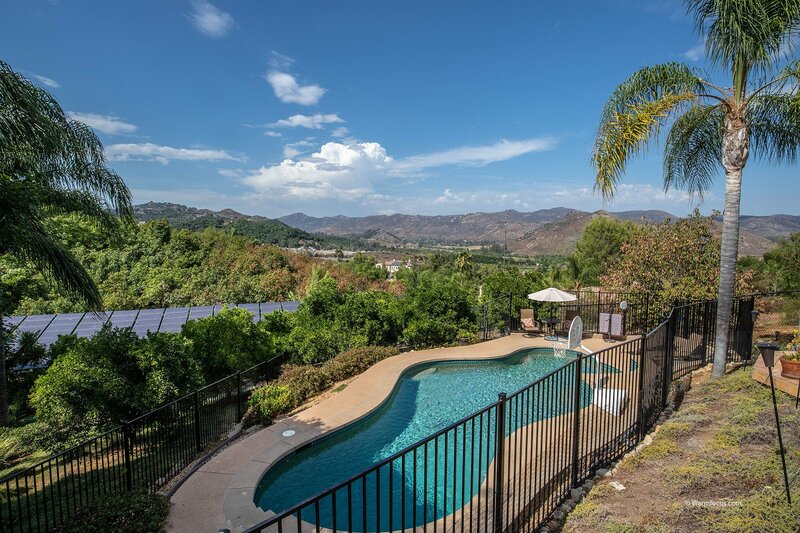 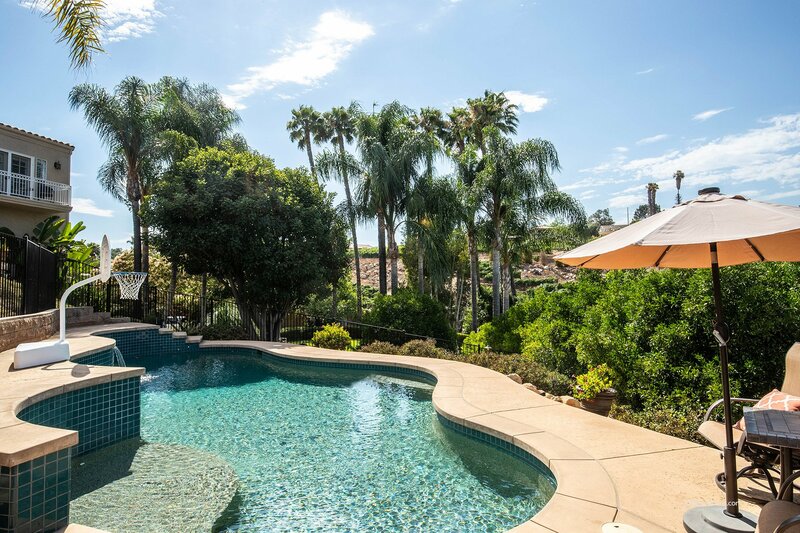 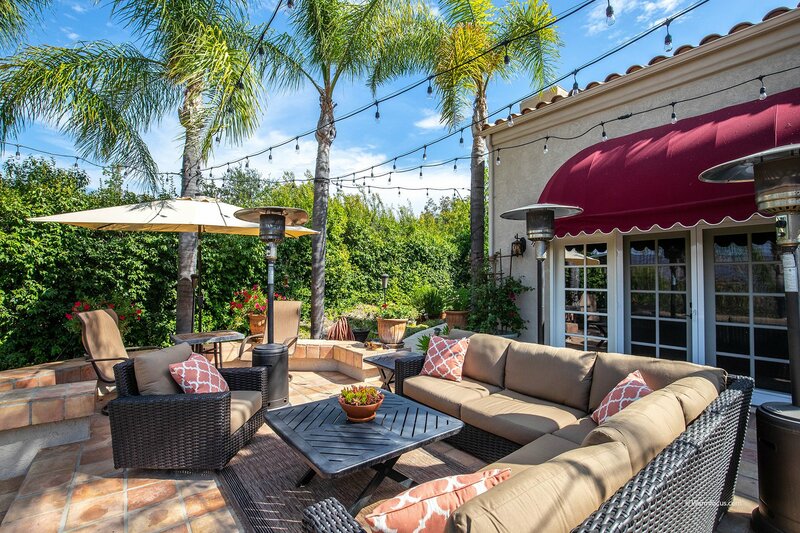 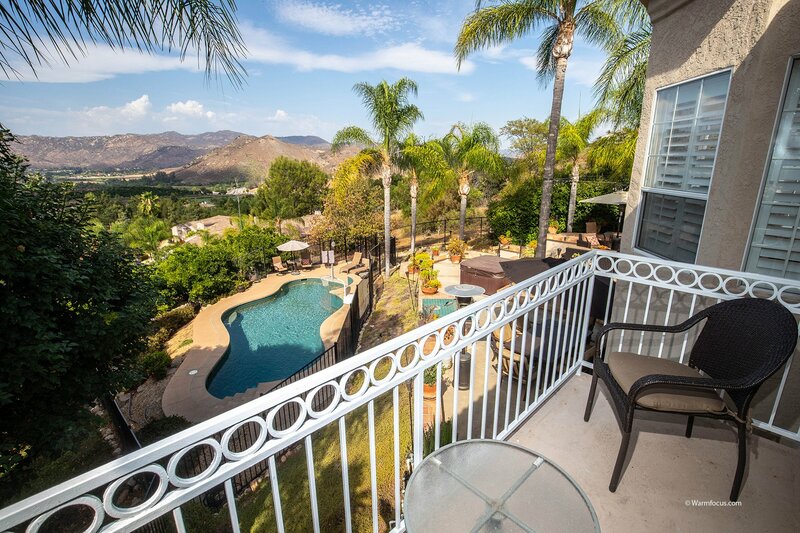 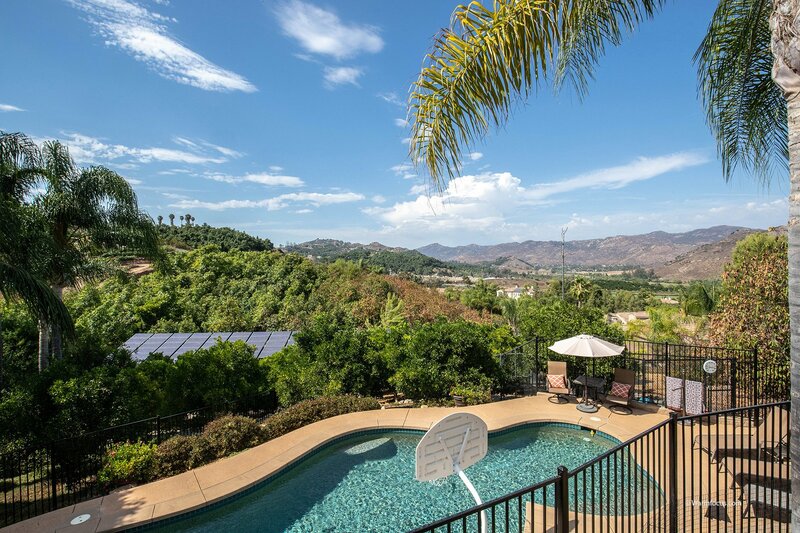 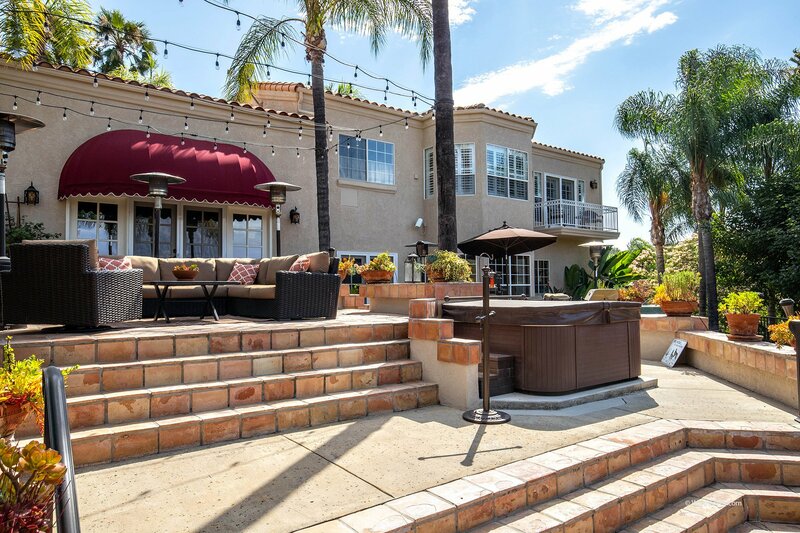 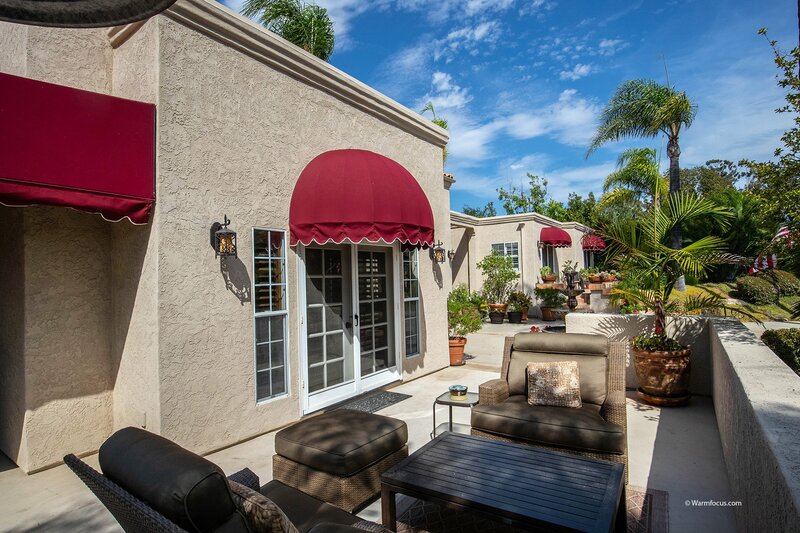 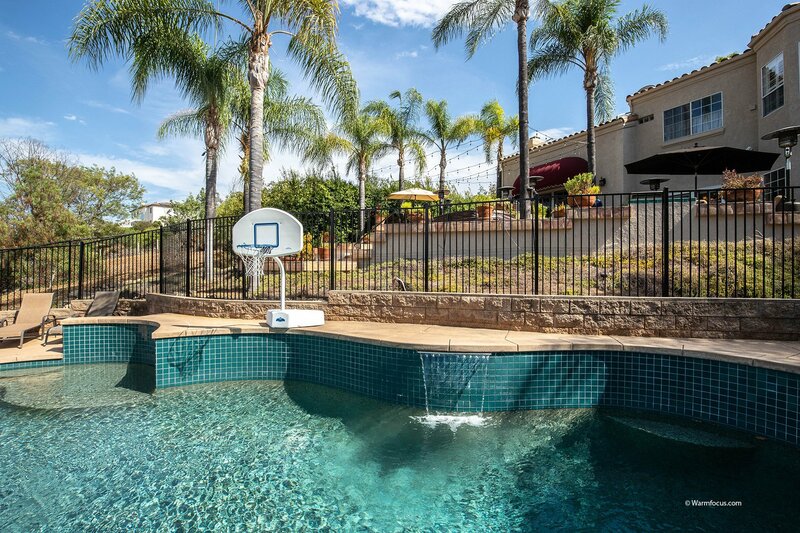 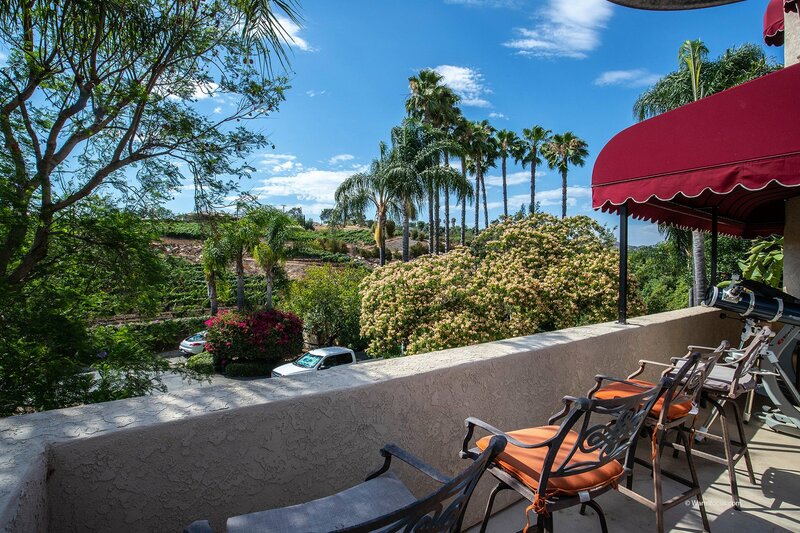 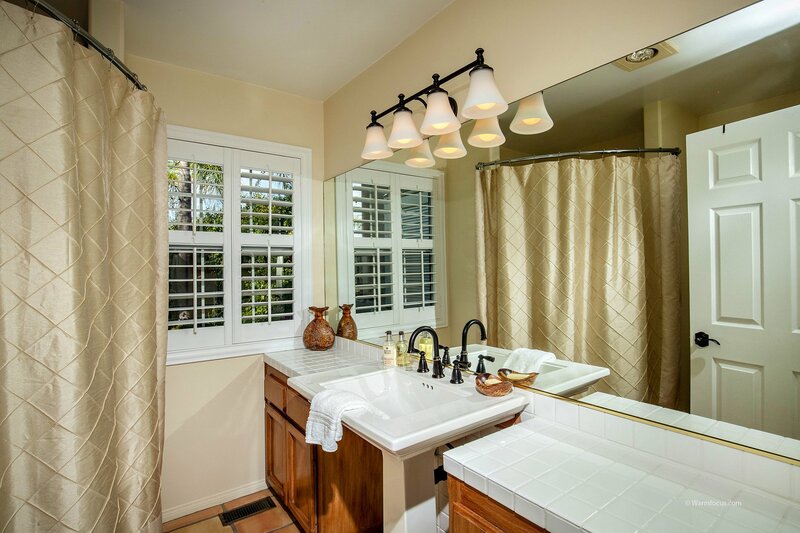 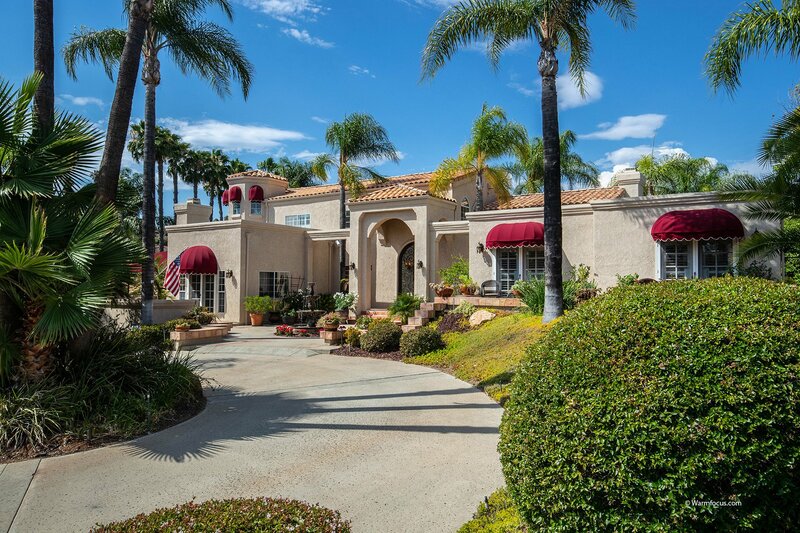 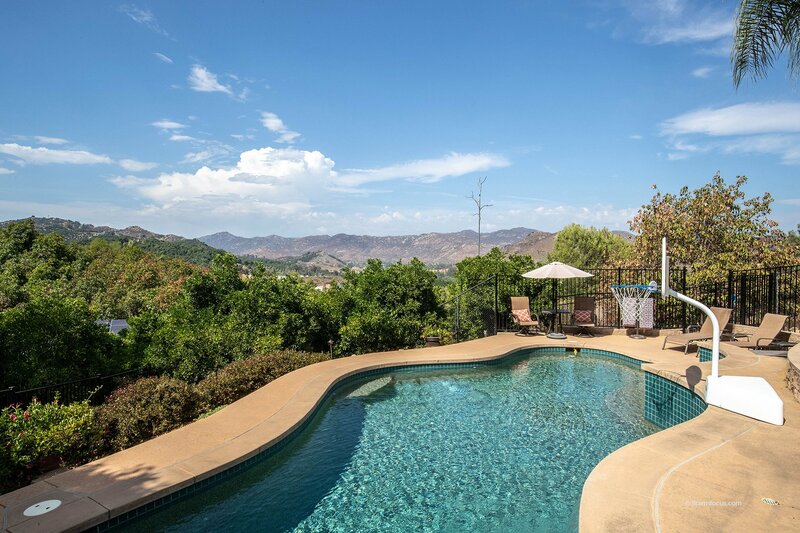 Just moments from major entertainment venues, world-class shopping and restaurants, this Escondido oasis offers and escape from the ordinary. 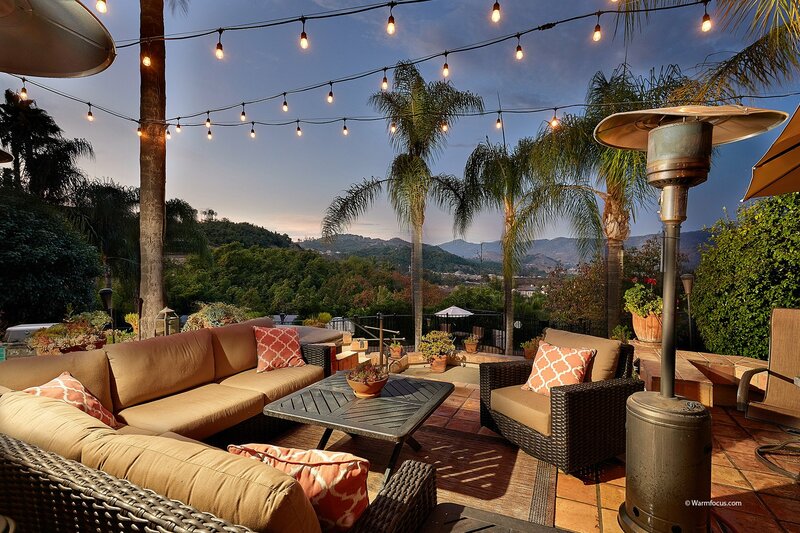 Net metering for electric bill due to solar, if generate more power than use that month it generates a credit to your account. 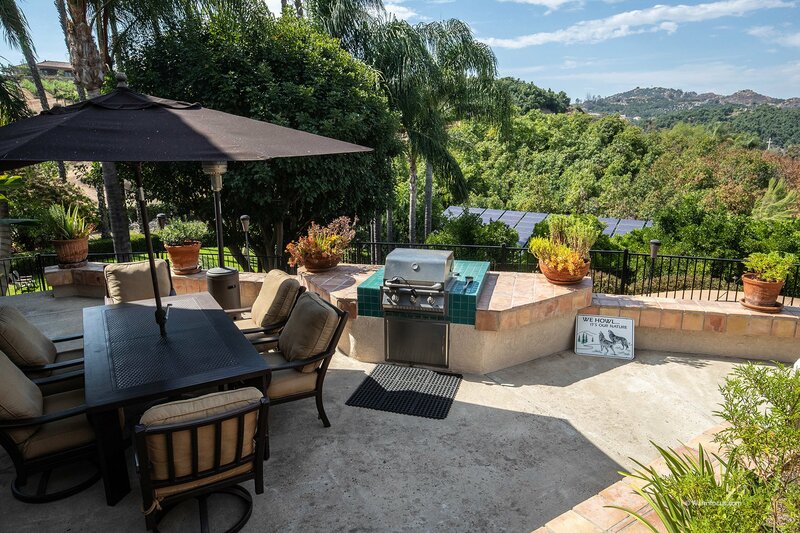 3 of 3 inventors replaced and upgraded 2015, warranty through 4.2025 (10years) can extend either an additional 5 years or 10 years for $266.67/inverter or $522/inverter.